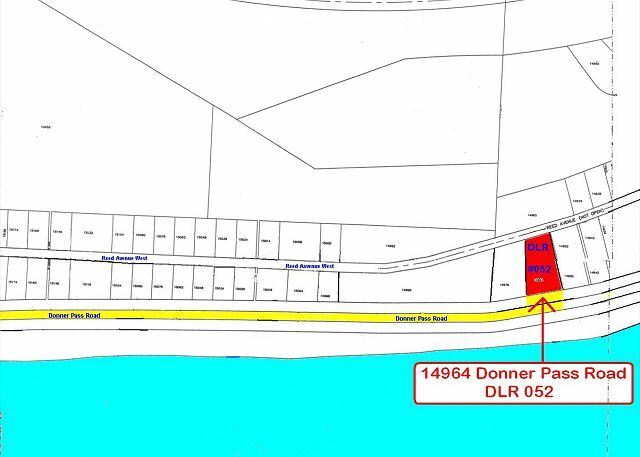 Truckee, CA United States - Combes 052 (FRI) | Donner Lake Realty, Inc. Looking across the Lake at Schallenberger Ridge and Lakeview Canyon. The Public Pier, across Donner Pass Road can be barely seen to the right. Upper Bathroom with tub/shower, toilet, sink. Lower Bathroom with tub/shower, toilet, sink. 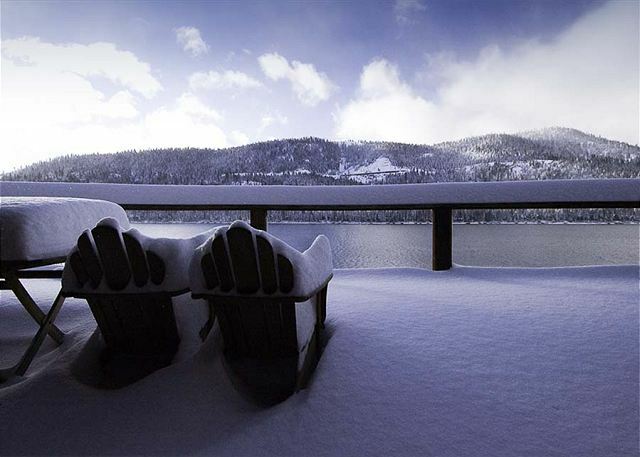 Cabin is just across Donner Pass Road from the "Guard Rail"
The Combes unit is 3 bedroom, 2 bath, and sleeps 8. 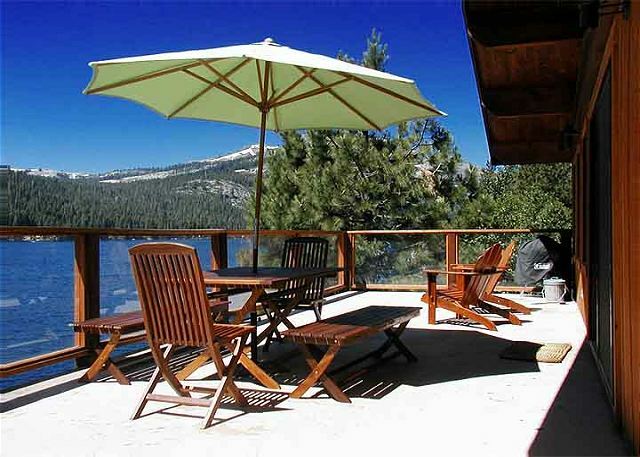 This newly remodeled cabin is located on the North side of Donner Pass Road overlooking the lake with panoramic mountain views. This home is considered a direct lake access unit with public piers located across the street that are available on a first come, first served basis. There are 26 stairs from the parking pad to the front door and spacious front deck. You enter the unit directly into the entryway that features bench seating, coat hooks and a reading nook with a TV, DVD player and sofa. The bottom level also features hardwood floors throughout, the laundry room, two bedrooms with lake views, and a full bathroom. 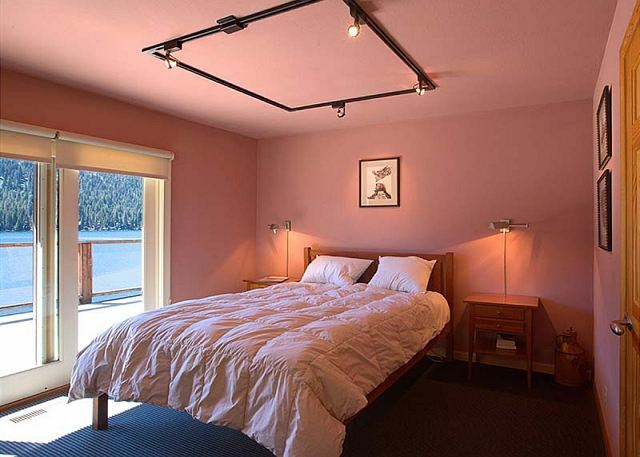 The Kids' room has two sets of twin over twin bunk beds, while the spare room has a queen size bed. Upstairs boasts vaulted wood ceilings with exposed beams, wood floors, a small wood burning fireplace, open concept eat-in kitchen, dining, and living areas and picture windows to take advantage of the epic views. 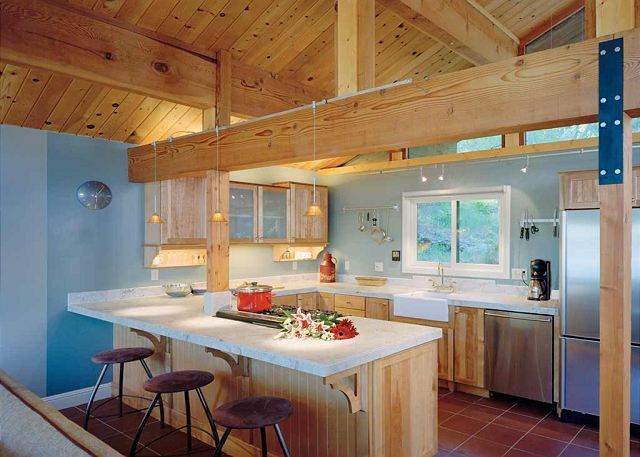 The well stocked kitchen has tiled marble counter tops and tile flooring. The adjoining dining area allows access to the secluded back deck where you can enjoy the natural landscaping. The living area takes full advantage of the spectacular views and allows access to the spacious front deck. 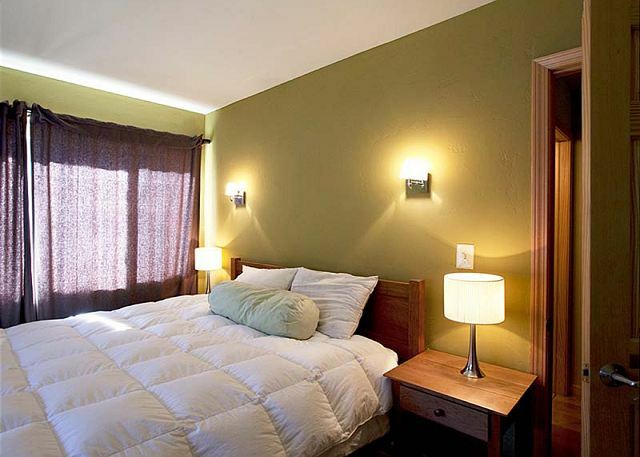 Connected to the living room by a short hallway is the Master bedroom, which has a king size bed and sliding glass door leading out to the front deck. The bathroom is directly across from the Master bedroom and serves as the only bathroom on the main level. 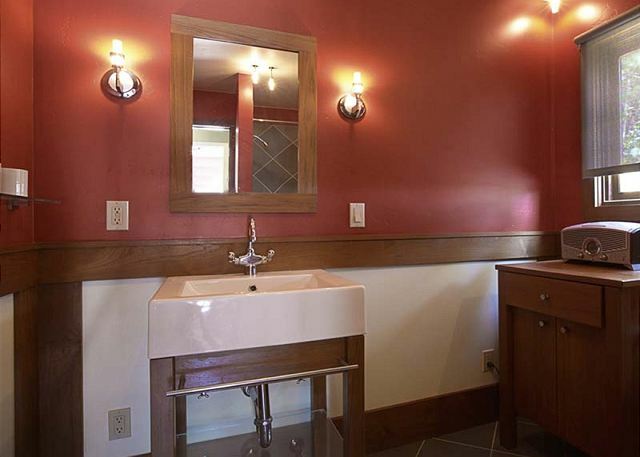 It contains a single vanity sink, toilet, and tub/shower combo. This is a pet friendly unit and has a Friday check in/out day in the Summer. This home has a floating 2 night minimum in the Winter only. Our units do not have sheets, pillow cases, or towels included in the rental. However, we do offer linen rental service with 72 hrs notice before arrival: sheets, pillow cases, and towels at a onetime fee of $10 per person. Check in time is 3pm and check out time is 10am. **Nightly Minimum Subject to Change for Holidays** 4 night minimum for Thanksgiving, 7 night minimum for Christmas/New Year's, 3 night minimum for Martin Luther Holiday Weekend, 3 night minimum for Presidents Holiday Weekend, 3 night minimum over the 4th of July, 3 night minimum for Labor Day holiday Weekend.